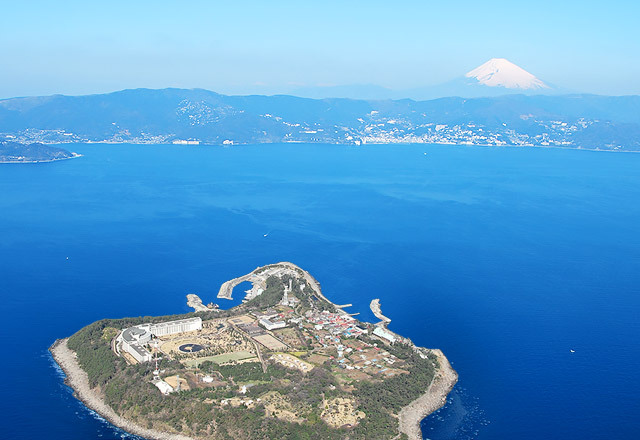 Hatsushima is Shizuoka prefecture's only inhabited island and is known as a resort that can be reached in two hours from Tokyo. 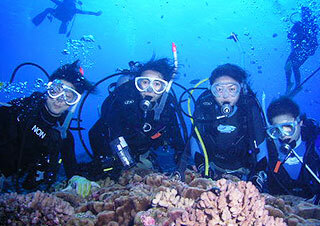 The sea currents from the south create a mild climate on the island all year round. 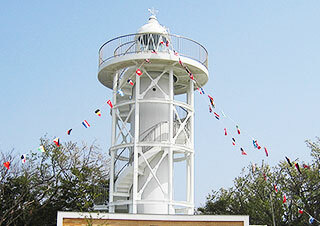 There are fresh seafood, subtropical plants, outdoor activities, numerous legends, and many more charms to experience. 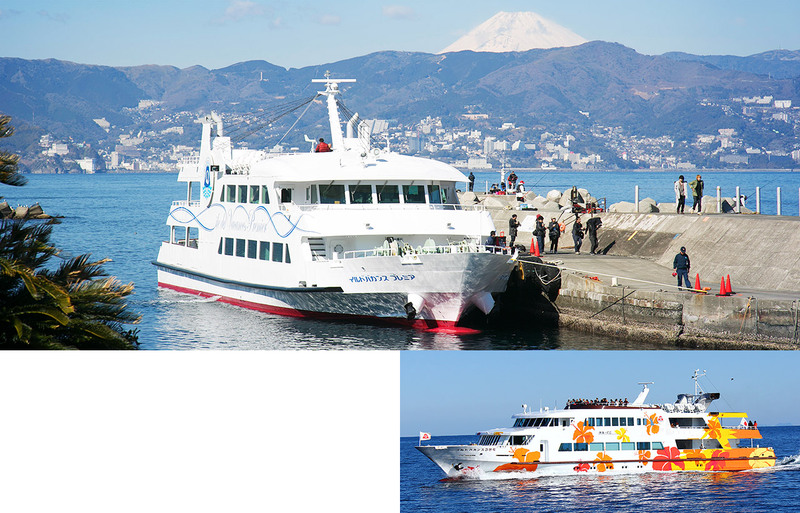 Hatsushima can be accessed by two types of ships: "Ile de Vacance Premier" and "Ile de Vacance III". 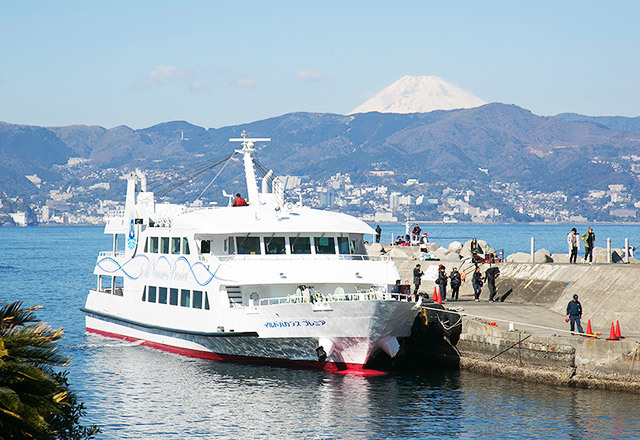 These high-speed ships head to and from Hatsushima nine times a day. 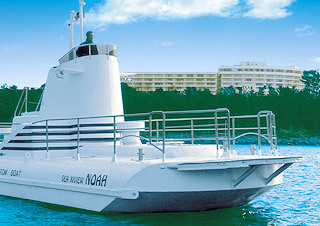 The high-speed ships have an observatory floor where you can look out to the sea and feed the seagulls. 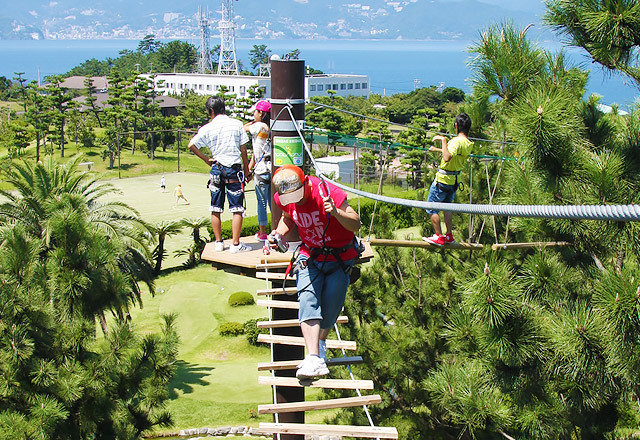 The Hatsushima Adventure "SARUTOBI" is an outdoor activity facility where you can walk on top of trees with special harnesses. This outdoor activity is especially popular in Europe. 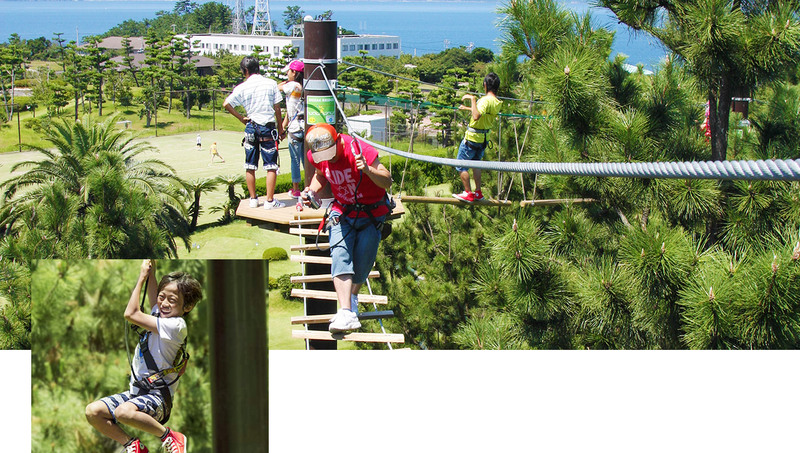 For around 30 minutes to an hour, you will go from tree to tree and look out at the ocean scenery to enjoy a feeling of adventure. 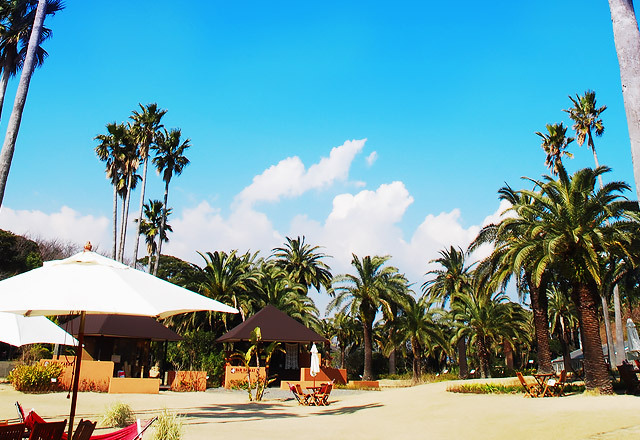 When you arrive in Hatsushima, you have to visit the Hatsushima Island Resort at least once. 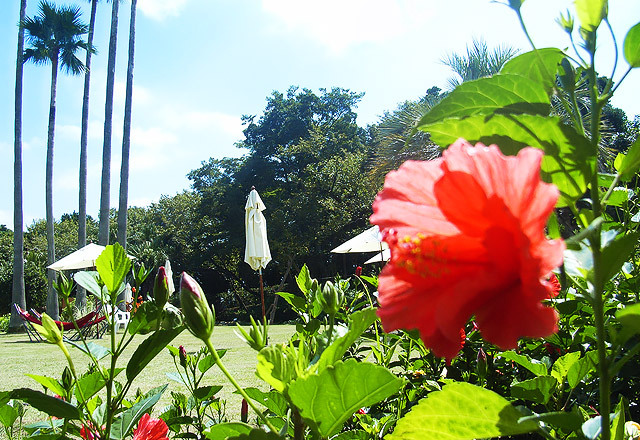 Asian Garden "R-Asia" is where you can snooze in a hammock under a gentle breeze. 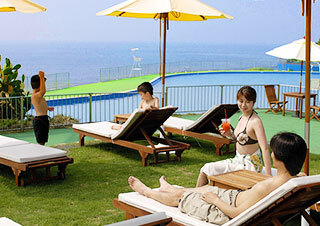 You can also take a dip in the "Island Bath" and look out to the sea to enjoy a relaxed "Island Time." 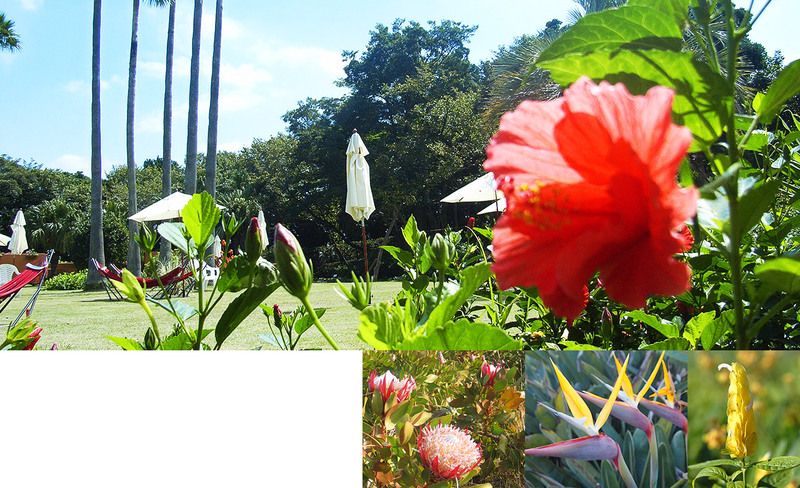 The warm climate of Hatsushima brings colorful flowers blooming throughout the seasons. Cherry blossoms, canola flowers, daffodils, and even rare tropical flowers like the bird of paradise flowers and Bougainvilleas can be seen here. On clear days, Mt. Fuji is visible when you look toward Atami from Hatsushima. 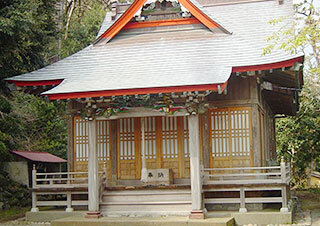 We hope you'll come visit the island to create memories of your trip to Japan. 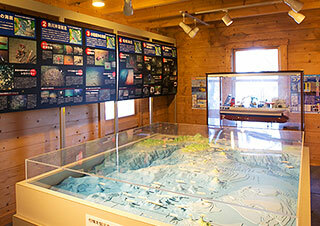 Hatsushima is called a "natural fishing reef," as seen from its treasure trove of seafood. Enjoy restaurants on the diner street where fishermen provide their catch to customers. Relax at the Island Café, swinging on a hammock while enjoying some Asian food and liquor. 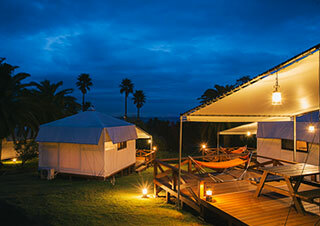 You can also look out at the sea and party with your friends with a seafood barbecue. We have the greatest menus of things to do on this island. On the dining street, you can enjoy set menus using fresh and generous portions of seafood in bowls, sashimi, and stews served by the local fishermen. Asian Garden "R-Asia" has the Island Café where you can enjoy Nasi Goreng, Pad Thai, Loco Moco, and many other island dishes from around the world. Enjoy fresh seafood barbecue in this house with patio seating facing the sea. Feel the gentle sea breeze as you enjoy the barbecue with your friends. 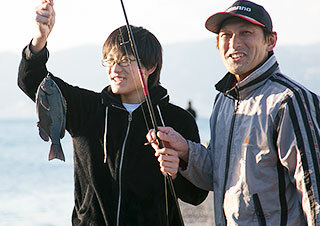 There are many ways to enjoy Hatsushima. We hope that you'll spend your time at the island in your own way.